Living on Alishan in Chiayi County, Yang Hsin-hsing, Wen Chen-hsiang, An Hsiao-ming, and An Bing-yao — indigenous Tsou experts in weaving, bamboo and rattan crafts, traditional house construction, and tanning respectively — have been recognized as preservers of Taiwan's aboriginal heritage, and the first group from Chiayi to be so recognized. 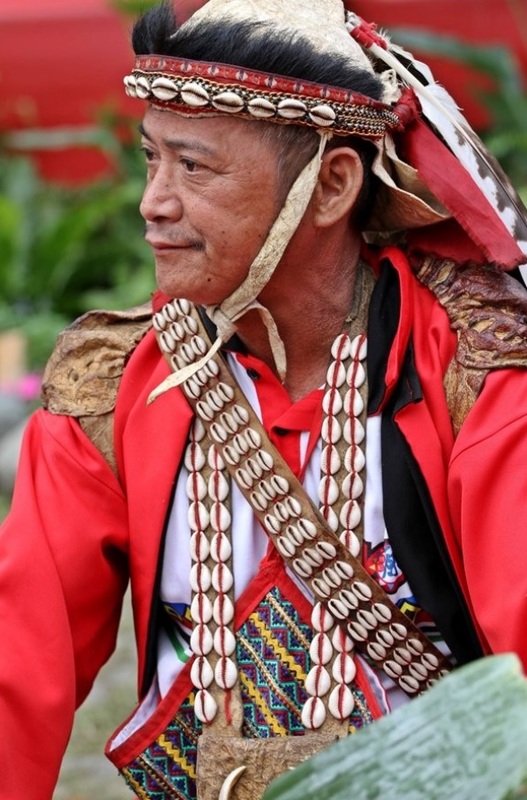 An Bing-yao is an elder of the Tsou people of Alishan Township, Chiayi County. While he has an excellent knowledge of a range of Tsou traditions and cultural aspects, his particular specialty is traditional hide tanning; his fine craftsmanship truly showcases the distinctive aesthetics of the Tsou. Traditional tanning has a profound historical significance to the Tsou and has now been registered by the Chiayi County Government as an important aspect of aboriginal cultural heritage. When he was a child, An would go hunting in the mountains with his grandfather and his brothers. A skilled hunter at long range with a rifle, medium range with a bow, and close range with a hunting knife, An has successfully hunted over a thousand boars in his life, earning him a reputation as the "Boar King." The Tsou are careful to only hunt mature boars; if they encounter juveniles, they will leave them to roam the mountain forests, where they can continue to grow and reproduce. Boar hunting is something the people of the village of Tapangʉ and Saviki are involved in from a young age, and it is how many of them get by as adults. Hide tanning is a craft that developed out of this hunting culture and is a way for them to highlight the close connections between hunting, land, and nature. However, in the face of the increasing Sinicization of his people and the migration of the youth to the cities, An redoubled his efforts in his community to preserve a culture that was fading and to pass on his tanning techniques. A distillation of the Tsou hunting culture and a unique art, traditional Tsou tanning is done by first skinning the carcass, then sun-drying it and softening it with a mortar and pestle or having two people stretch it across a large log until the desired pliability is achieved. This craft is an illustration of how well the Tsou traditionally make use of natural resources. The ways in which they soften the hides, which differ from those of other indigenous peoples of Taiwan, encapsulate the particular knowledge of their environment, as well as their way of life. More important to a hunter than a calm nature and physical agility and strength, An believes, is experience. This is why his people begin their training at such a young age to survive in the mountain forests, and he is confident that early teachings will ensure that future generations will continue to keep their hunting culture alive. As part of his efforts to promote Tsou tanning, in recent years An has also taken to making contemporary clothing with his craft, combining modern fashion with traditional culture in innovative ways. Visitors Today:54. All Time Visitors:1,229,861.